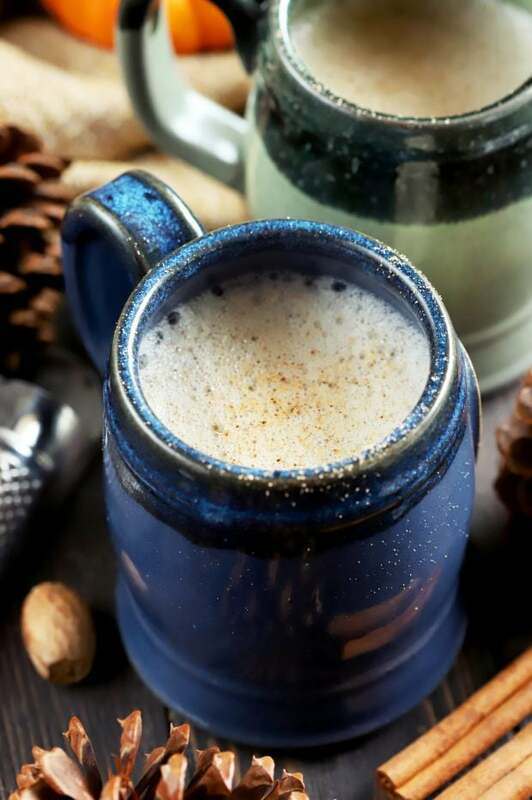 A Hot Spiced Ale Flip is the warm mug of happiness that you are going to want to wrap your hands around tonight. 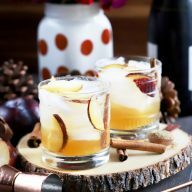 The spiced brown sugar syrup combined with spiced rum and ale makes for a killer cocktail, and the surprise addition of egg makes the drink even richer. It’s a throwback to an old-time recipe, with a twist! 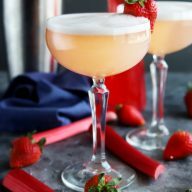 So I don’t know if you’ve heard of a Flip before, but it’s a pretty darn amazing cocktail. 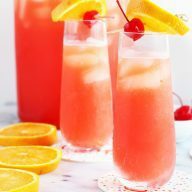 Honestly I hadn’t heard about the drink until a random cocktail recipe site had an article on it and I was like, hmmmmm that sounds interesting… Maybe I should try it! 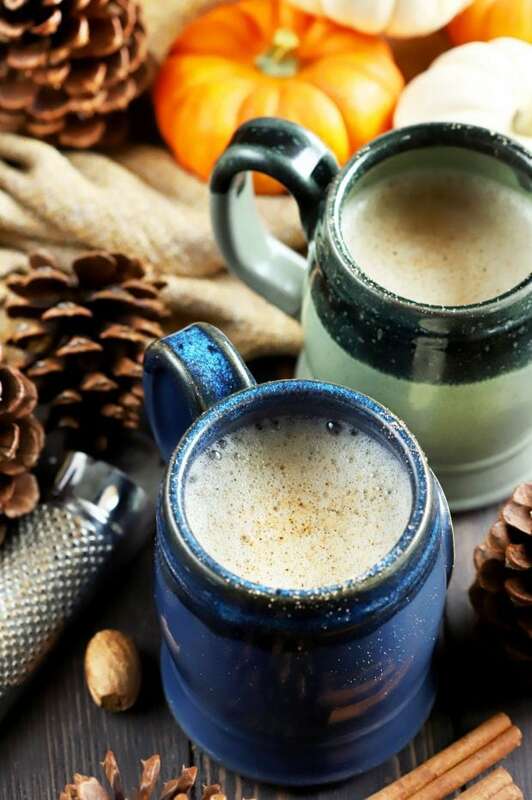 In the cooler months of the year, I love warm drinks from hot cocoa to spiked cider, and now warm beer cocktails. In each sip, there’s a spiced element, a hint of citrusy orange, and a richness that is pure silk. 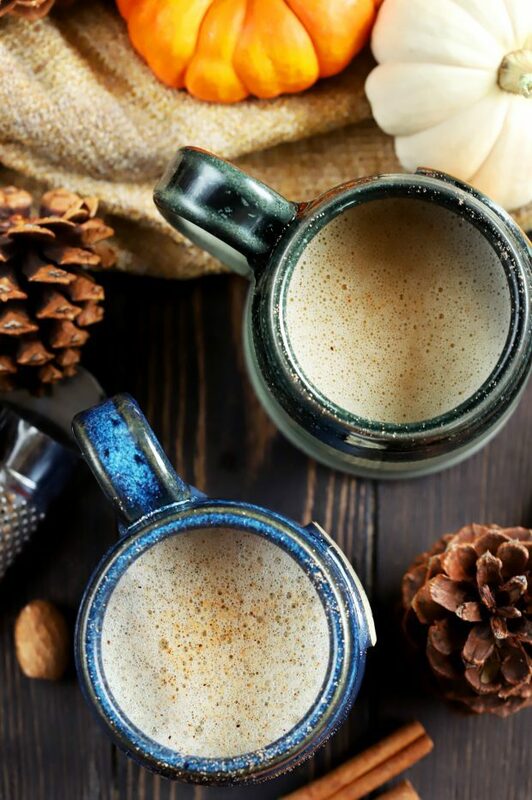 There are only a few components to the drink, but each of them makes this mug of happiness a standout. 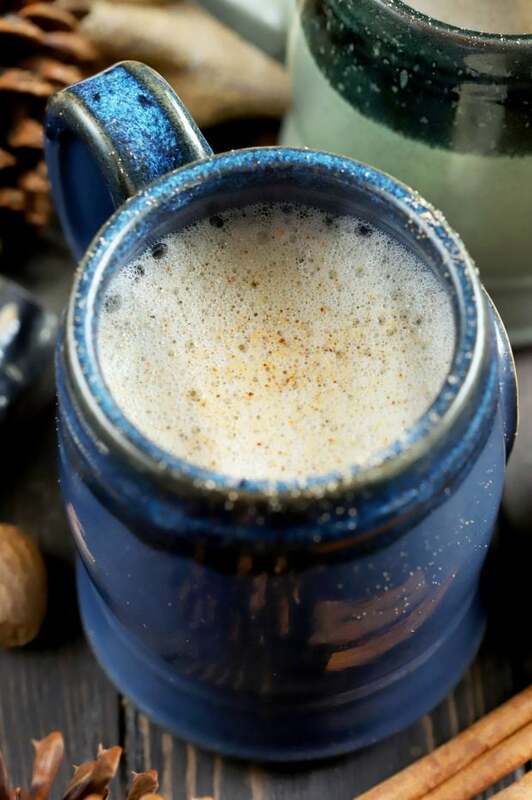 Instead of a regular simple syrup, I made a homemade spiced brown sugar simple syrup that has a greater depth of flavor than simple syrups made with granulated sugar. In addition to the spices in the syrup, you get spice flavors in the spiced rum. A touch of orange juice for a hint of citrus and then this is all rounded out by your favorite ale. 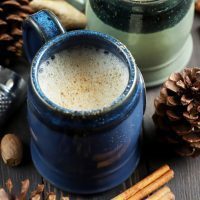 I like to use a light ale for this particular drink, but if you want to make it more intense or indulgent, use a deeper brown ale or a dark beer to make it even more tasty. 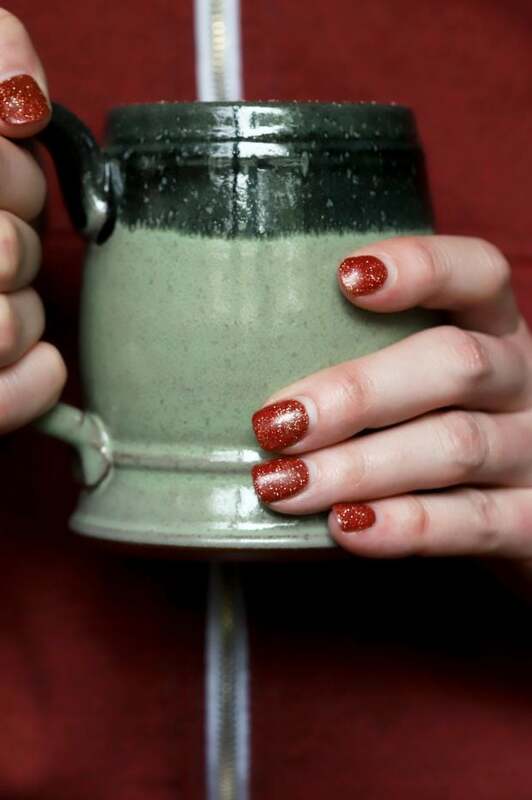 The final ingredient for this spiced ale is egg. Yes, that’s right, an egg. Now I know that might make some of you a little squeamish, but having an egg in a cocktail is actually quite genius. Before this particular drink, I’d only ever worked with egg white in cocktails, but this one asks for a whole egg. The egg gives the drink this added richness that washes over your tongue like a warm blanket. It’s a spiced ale that’s going to rock your world. It makes you want to cozy up under a warm wool blanket next to a fire with nothing to do but read a great book and snuggle with your boo. Or your pups. Or whoever you want. Heck, snuggle with yourself. YOU DO YOU. 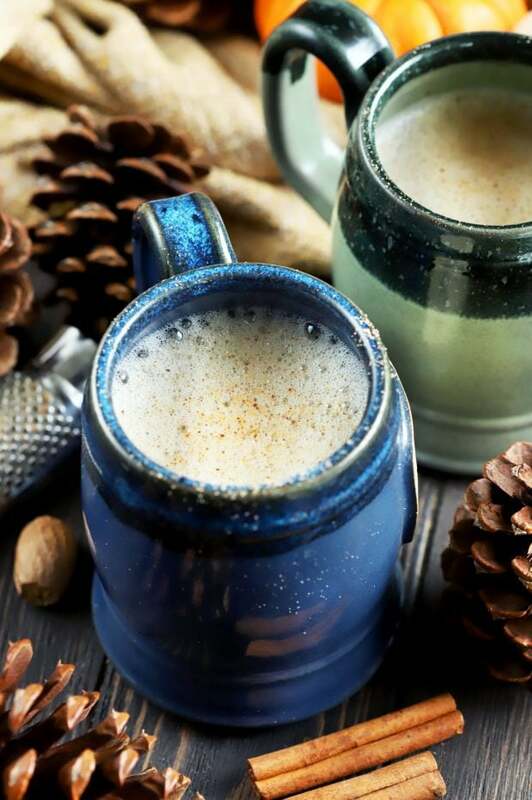 While the mugs you see in my photos were one-of-a-kind, I absolutely love the look of both this Handmade Ceramic Mug Clay Cup and this Oversized Ceramic Rustic Beer Cup! Both would be gorgeous and ideal for this simple cocktail.
. It’ll last years in your kitchen! that my uncle got me years ago for Christmas. 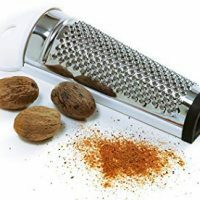 Fun fact: my family nickname has always been nutmeg, so I always get a little giddy when I pull out this grater. I mean, if Alton Brown travels around with nutmeg in his pocket, we all should have it handy, shouldn’t we? 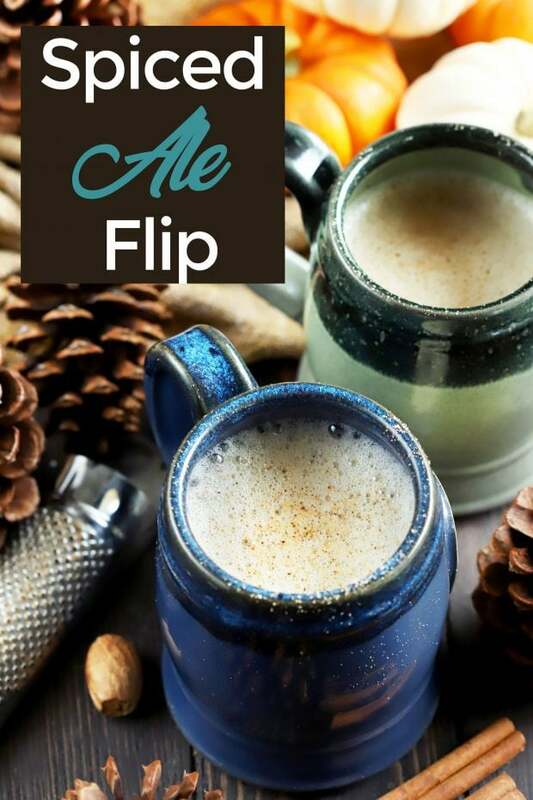 Pin this Hot Spiced Ale Flip recipe for later! 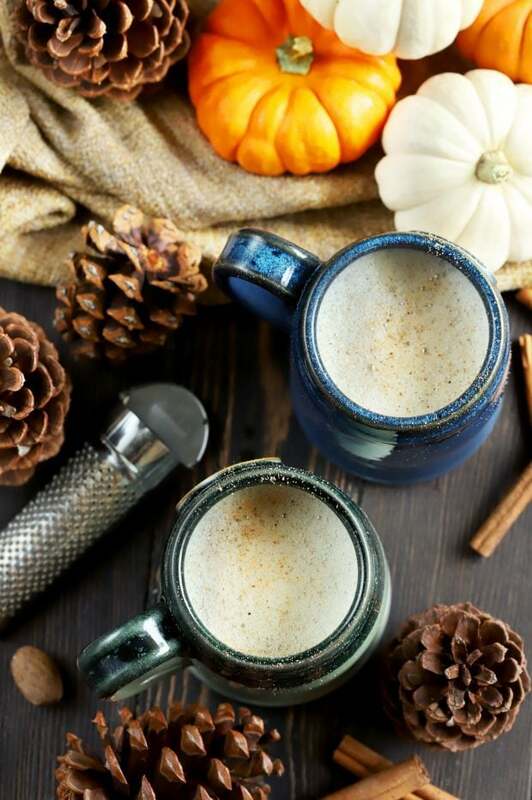 Warm spiced brown sugar syrup mixed with beer and spiced rum makes for a tasty comforting drink to cozy up with this fall and winter! To make the simple syrup, combine all ingredients in a small saucepan. Bring the mixture to a boil over medium-high heat. Once the sugar is dissolved, remove from heat and cover. Let steep for 20 minutes. Drain out cinnamon sticks and whole cloves. Set syrup aside to cool to room temperature. In a cocktail shaker, whisk together rum, orange juice, syrup, and egg. In a separate small saucepan, heat beer until steaming. 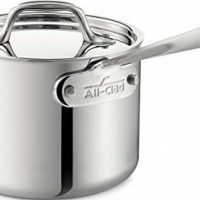 Do not let it reach a boil. Slowly add beer to the cocktail shaker mixture, whisking quickly as you pour it in so the egg doesn't cook. Pour the mixture back and forth between the cocktail shaker and saucepan until it is nice and frothy. 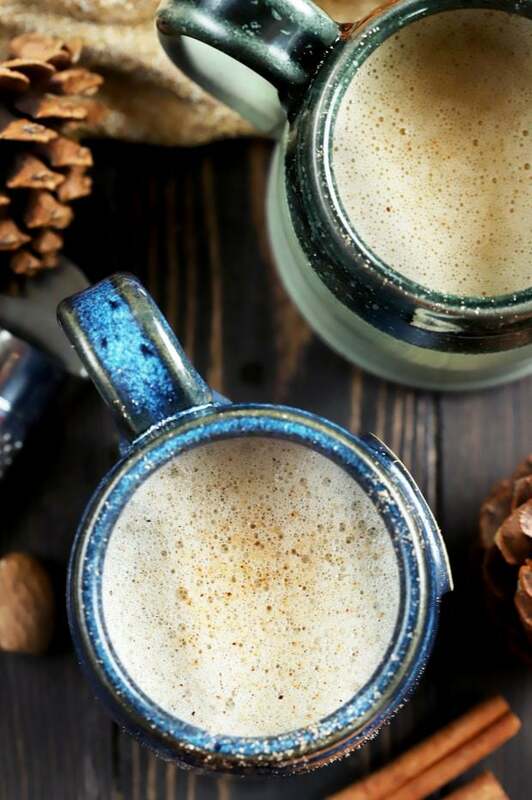 Pour into a heat safe mug and garnish with freshly grated nutmeg.